Home News Editorial LaTrac does the job, why spend tax money on another website? LaTrac does the job, why spend tax money on another website? The Senate Finance Committee on Monday delayed consideration of a transparency website amid concerns among Republican senators about the cost. House Republican leaders had said during the special session that providing detailed state spending data through the new website, called the Louisiana Checkbook, was vital to talks to solve a projected $700 million state budget shortfall. Louisiana already has a website, nicknamed LaTrac, that a non-profit group in Washington, D.C., ranked in 2016 as the nation’s seventh best in providing spending data. Expecting the new system to have a significant cost, Sen. Jim Fannin, R-Jonesboro, said the “money could be spent in other places” given Louisiana’s budget problems. “I suspect that taxpayers would not tell you that they’d like it over TOPS and health care,” he said. Fannin said he had received emails from constituents who supported the bill but also did not want the implementation of a website to raise their taxes. Representatives of the Louisiana Supreme Court said at the hearing that it could cost more than $20 million to upgrade their systems to link to the website State officials have said it would cost millions more to connect other agencies..
She advised, given her experience as an engineer, that the website should be implemented in phases. 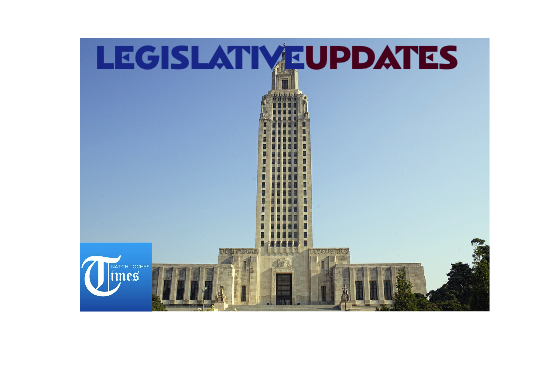 Sen. Jack Donahue, R-Mandeville, contended that posting state employees’ information “may be putting people at a competitive disadvantage, knowing how much money someone is making.” Ward argued that state salary information can be requested already. The only difference, he said, is that the bill would put the data in one place.